My interest in photography began while I was living in Bradford, Yorkshire. and attending St Bede's Grammar School. The school had its own darkroom and a Photographic Society run by the Chemistry Teacher, Mr McFee. Please click on the thumbnail image below to see some of the photos that I took at the school. I used to sell copies of them., about postcard size, to others in the class for 4d each. That just covered the cost of the materials used. I returned to visit St Bede's Grammar School in June 2013 - almost fifty years after I left the school. Please click here to read about this return visit and see a few photos taken then. I moved from Yorkshire to Edinburgh in 1963 and joined Edinburgh Photographic Society. 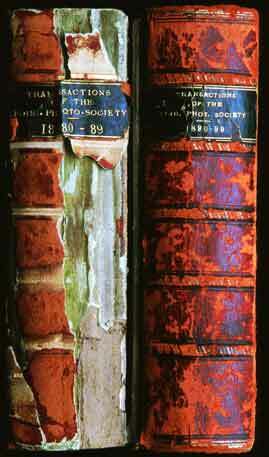 I have used the Society's colour and black & white darkrooms over many years. Most of my photography for about the next 20 years was on colour slide film, photographing, family, holidays, landscape and railways. Since about 1990 I have taken more interest in documentary photography. I joined the EPS Creative Group* then joined the EPS Digital Imaging Group. These two groups merged in 2012 to become the EPS Creative Digital Group. Some photos from these projects are included on this web site. For almost all the photographs for these projects, I have used Fuji Velvia slide film. I have a large collection of these slides, and have made 50cm x 40cm colour prints from several of them. However, the photos for my Scottish Stations project are black and white. These were were taken on Agfa 25ASA or Ilford 50ASA film; some are on Kodak High Speed infra-red film. - for Edinburgh Photographic Society competitions. I found the competitions to be a challenge. Some required photos to be taken on particular themes, causing me to take photos that I would not otherwise have taken. It was interesting to see how a theme could be interpreted in many different ways. I continued to enter EPS competitions and began to send my colour prints and slides away to International and other Open Competitions for a few years - a challenge again, though I didn't win many medals! - to try to capture images that I think will be interesting to look back on in the future. 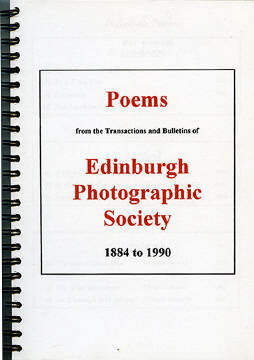 - to take photos that might be of interest to people viewing the EdinPhoto web site. As well as adding my photos to the EdinPhoto web site - when I have found the time to do that - and occasionally sending photos for publication in the Edinburgh Evening News Picture Gallery feature, I've received emails from many people around the world asking if they can use my images for different purposes. - a group of Ukrainian Bus Shelter enthusiasts, interested in some of my photos of Edinburgh bus shelters. - Several editors of specialist magazines that I never knew existed. Please keep scrolling down to see a few examples of how some of the photos have been used. 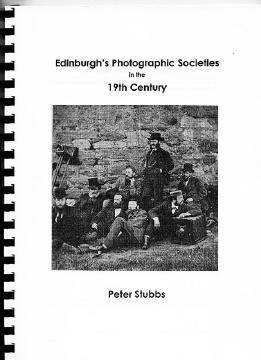 My research into the History of Photography in Edinburgh, and creation of this web site www.edinphoto.org.uk has been carried out in my spare time. - the last for Royal Photographic Society. I still have the other two, but they have not been published. Soon after compiling these booklets, I realised that I would be able to reach a wider audience (and update the content more easily) if I created a web site to hold all the research. So I created www.edinphoto.org.uk and launched it in 2001. The site went 'live' in 2001. 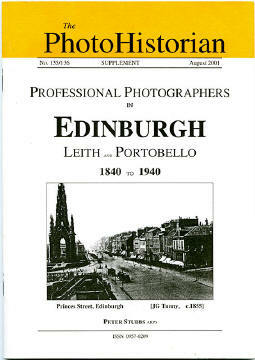 I selected the name, EdinPhoto, because 'Edin Photo' was the name that staff at Royal Bank of Scotland had written on papers for an Edinburgh Photographic Exhibition Account when they opened it for me as Treasurer of the EPS International Exhibition. I was amused to see that Royal Bank of Scotland continued to use this name, when the account was operating. For several years, they sent envelopes to my home, addressed to Edin Photo, containing correspondence beginning 'Dear Mr Photo ...". Where next from here - from October 2013? - I still have large collections of old photos and recent photos, and lots of information, waiting to be added to the web site. - I have a large backlog of emails to reply to, and they are still arriving daily, as fast as I am able to cope with them. - I'm still taking my photos, particularly documentary photos, showing some of the changes that are happening in Edinburgh. For many years, I gave talks to photographic societies and local history groups, usually illustrated by prints and projected 35mm slides. From 2008 onwards, as more societies have acquired digital projectors, I've been basing my talks around the images on the EdinPhoto web site, usually compiling long pages of images from the web site, to scroll down during the talks. If you click on the links for most of the talks below, you'll be able to see the scope of these talks. Many of the pages are very long, so they may be slow to load and you'll need to do a lot of scrolling if you wish to read the whole page. You may find some quite large areas of blank space as you scroll down the pages. I've added the 'space' to the pages so that individual images can be viewed in isolation, without distraction when images are viewed on the large screes used for most of these talks. Some of the comments on these pages may appear a little cryptic (without the additional commentary that I would normally give when delivering the talks) but I hope most of the text and pictures on these pages will make sense to you as you scroll down the pages. I also gave talks to other societies in 2007 and earlier years, from around 1970 onwards. 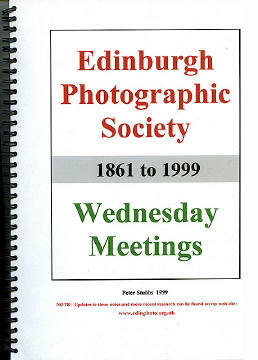 Many of these talks were to Edinburgh Photographic Societies and to other photographic societies around Scotland. All 'Worker Themes': - Stone, Metal, Wood, etc. A small selection of images from each. Same images as I showed to 'National Trust for Scotland in 2014. All 'Worker Themes. - Portobello Probus Association (Edin. at Work): if a digital projector becomes available. - Craigleith Probus Association (Edin. at Work): if a digital projector becomes available. - Edinburgh Themes: Clouds, Escalators + Lifts + Steps, Graffiti, Shops, Toilets, Transport, etc. Awarded for Prints and Slides exhibited in International Exhibitions. Please see the links at the bottom of this page. in the Research & Development section.